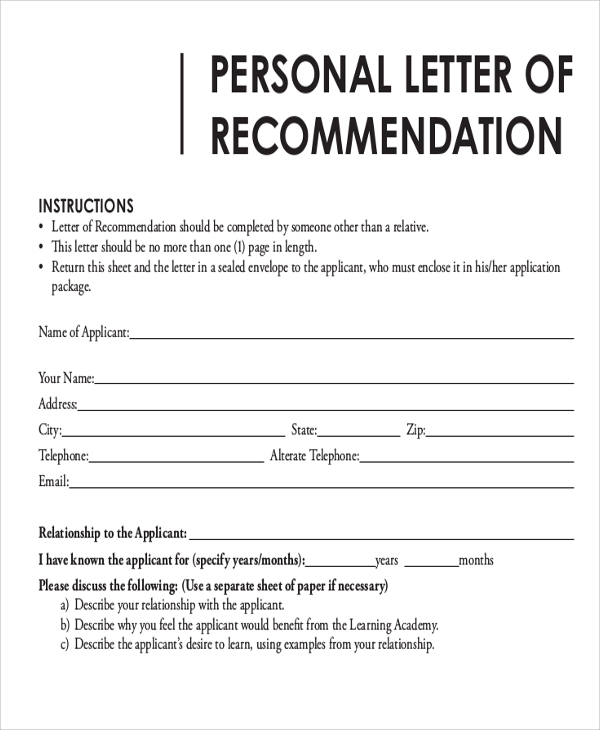 A recommendation letter is one of the best ways to get a lateral entry into a system. Whether it’s a course, an academic program, a job, or business, you are most likely get the benefit to start smoother and get a chance when you are recommended. However, a recommendation is made not just by word of mouth, but also through a written format. The recommendation letter is not only a letter but a record which can be retained by the recipient to prove later why the candidate recommended was given the opportunity. Get ideas of Sample Recommendation Letters here. 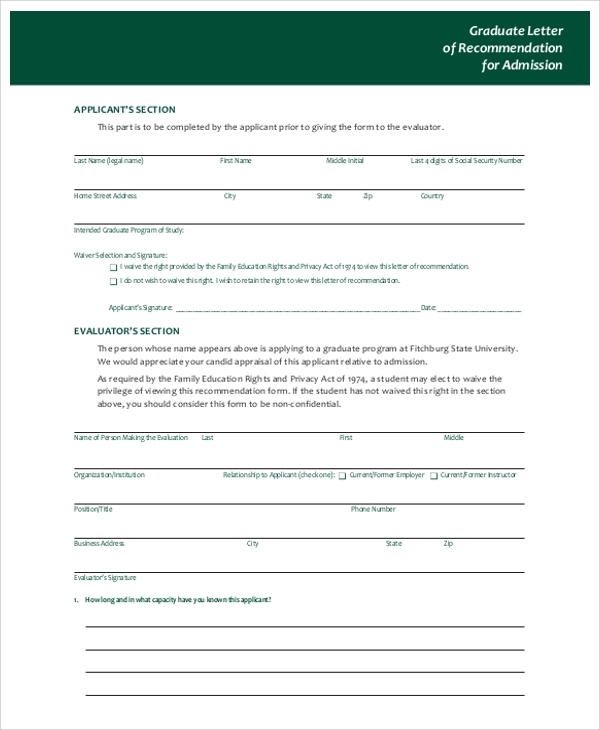 The college letter of recommendation can be issued by any influential person to refer a student to a college authority for getting entry into a course or program. The professional format for recommendation is used when you have to recommend a person for a job role or a particular business partnership or any such professional purposes. 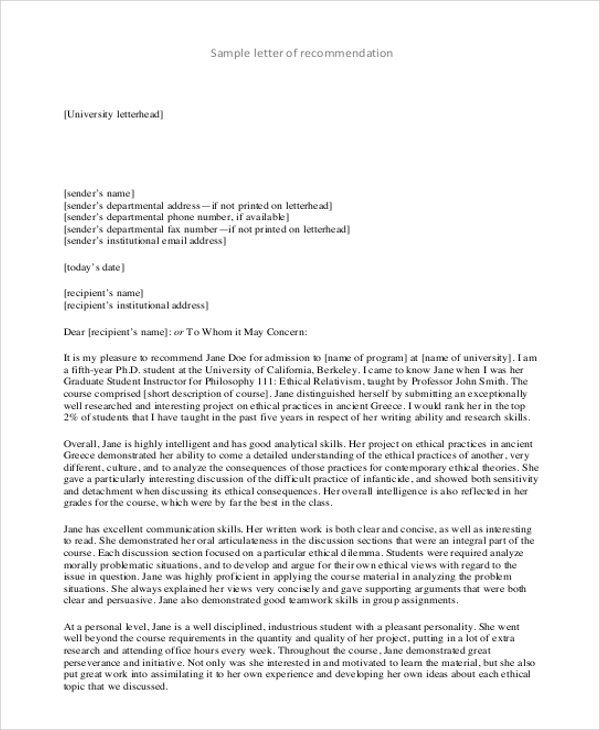 The formal letter format is all about using the formal writing style in a recommendation letter. If you are conscious of using an immaculate and clean formal writing style, then you must see this format for the best ideas of words and addressing. The personal letter of recommendation is written when a person is referring another for a specified purpose totally on the grounds of personal sentiments. This has got little to do with professionalism and more to do with personal relations, and thus this particular format is needed. The general letter of recommendation is what you can always use for general purposes. 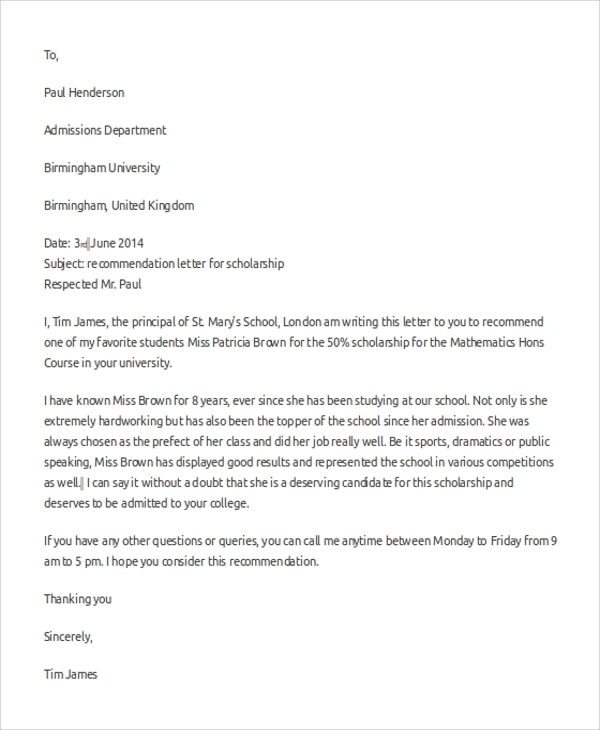 It just gives a general style of letter format which can be applied to make the framework of any recommendation letter. 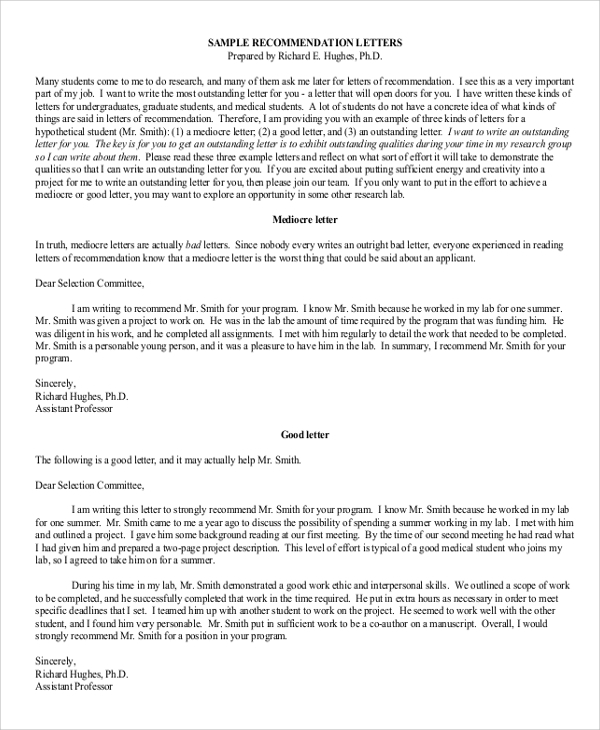 A recommendation letter is a letter which you should write to push a person or refer one to a particular position, program, appraisal, training, job, promotion or anything. The purpose of the letter is to highlight the exceptional achievements of the person, the areas of expertise required for the recommended role, the unique talents, etc., the person has which are essential for the job or program. Overall the letter should define how this person is just perfect or eligible or better than the rest to be given the opportunity. 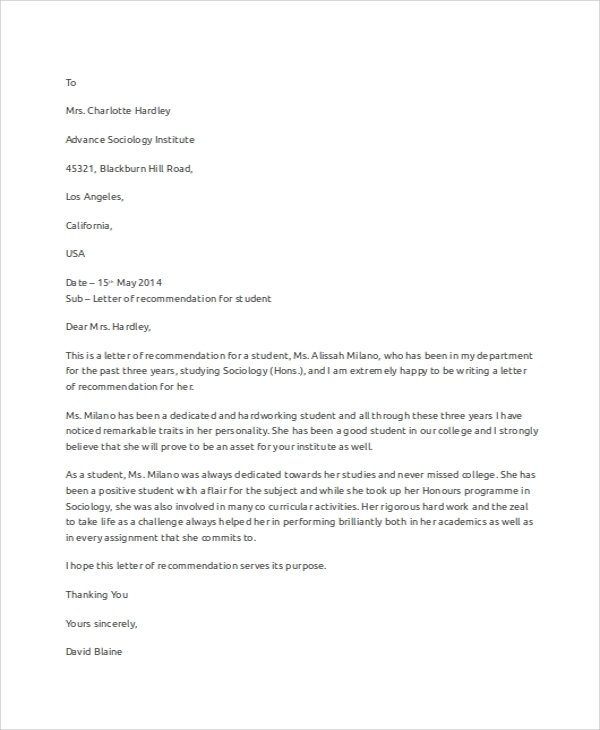 Why You Need Different Formats For The Recommendation Letter? Various formats of recommendation letters are required when you have to develop ideas for writing various forms of recommendation letters. 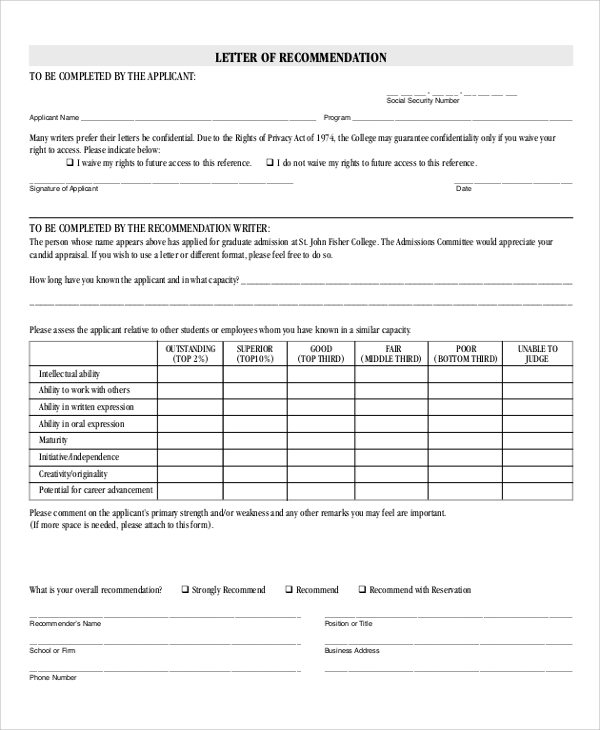 Like when you are trying to promote a student for an individual course to a college authority, you will need a format which helps in defining the best achievements, degrees, past scores, etc. of the student. The words and formation must support this. But when this is for a job, the pattern will change. It will get more official and professional, and you will need to refer to the Sample Recommendation Letters for Employment. 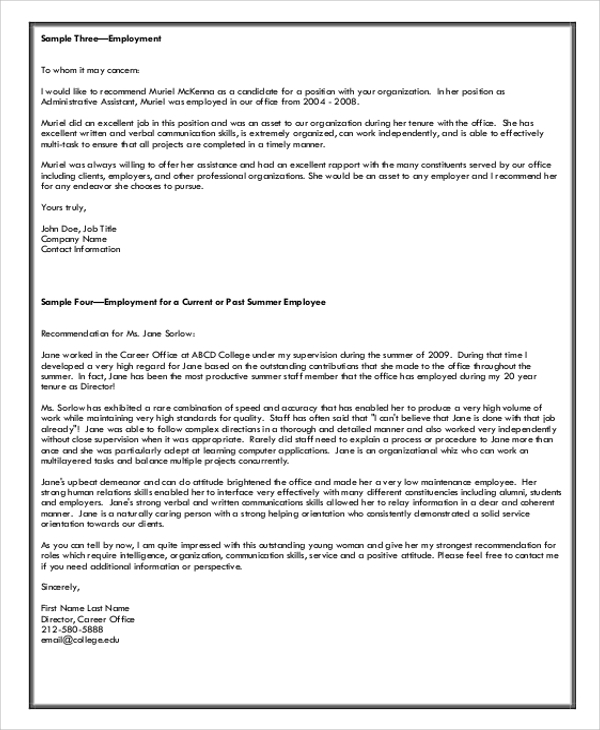 Hence, the various recommendation letter styles are made available online. The different forms of Recommendation Letters available online are there to help you in writing neat and clean letters in a short time when you have little time to think or have limited experience of writing such letters. The various examples of recommendation letters shared online will act as significant resources.